The mosquito frame screen system offers superb protection against insects. 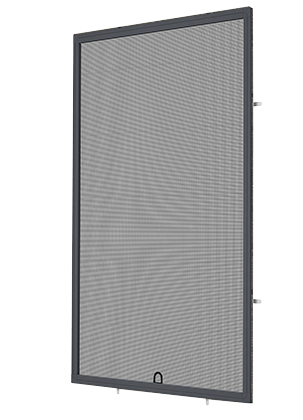 The mosquito screen frame may be joined with the use of inner aluminium corners, crimped or screwed. Also, outer plastic corners are available in a wide range of colours. The system is compatible with the majority of window profiles. We also offer an inner corner with angle adjustment. Clips in five different shapes are available for installation. The frame profile is made of a robust extruded aluminium section with a modern shape, coated with powder varnish. The profile is offered in two variants: with a “fin” adjoining the window frame or without a “fin”, and with a brush seal applied over all the fully fitted window frame.